Penny-Punching Princess, from Nippon Ichi Software / NIS America, celebrates capitalism with a princess who literally throws money at her problems. 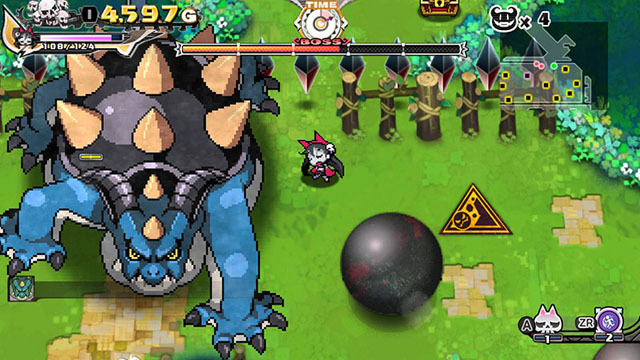 The game features overhead beat 'em up action with cutesy sprites for characters and enemies starring a determined princess and her pals pulverizing baddies at great personal cost. Ultimately, she hopes to defeat a family of dragons via fisticuffs, the purchasing of special attacks, and outright bribery. The game is available now for Switch via eShop and as a physical version at retail, and Vita via PSN.